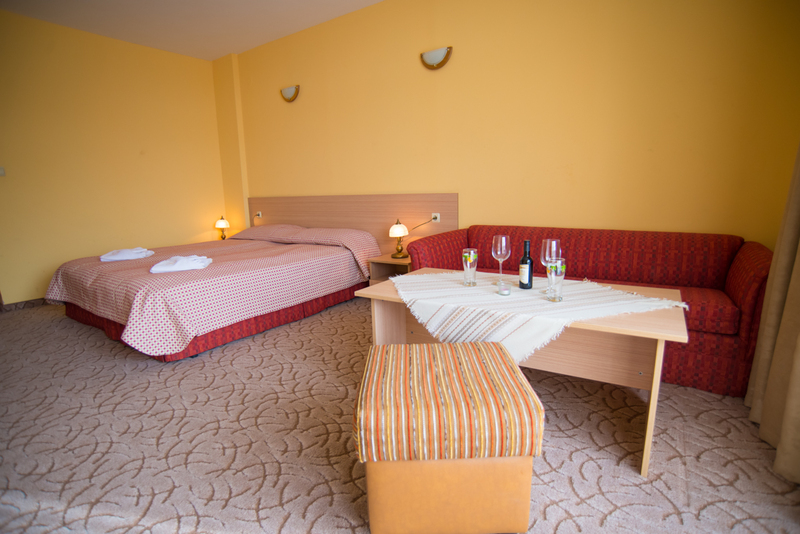 Room for two persons with a beautiful view of the mountains, forest, pictures of the village Banya, or our beautiful landscaped park. 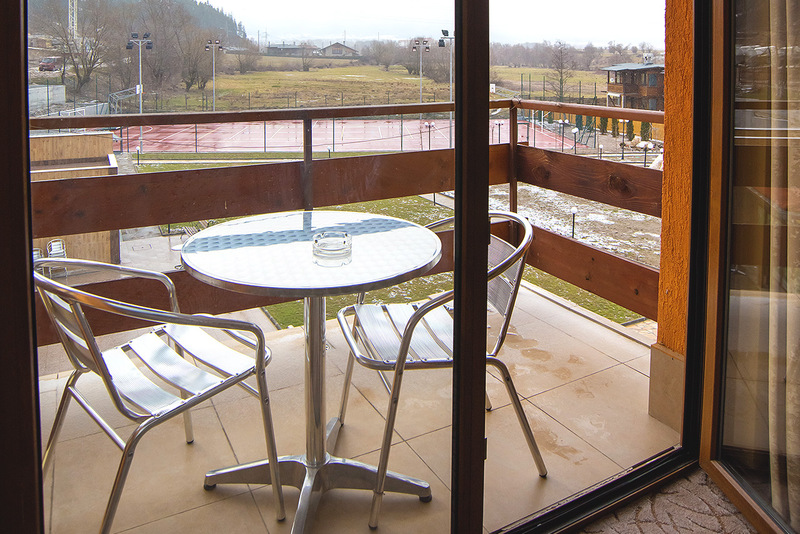 The rooms equipped a balcony with a table and two chairs where you can meet a sunrise or have a romantic evening. 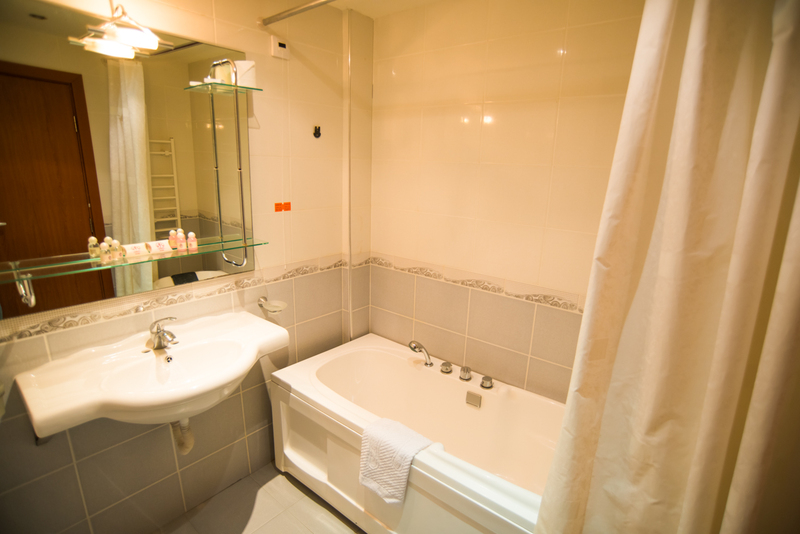 Each room has a private bathroom with bathtub, shower, SOS system, hair dryer, hygiene cosmetics, as well as fresh towels and bathrobes. 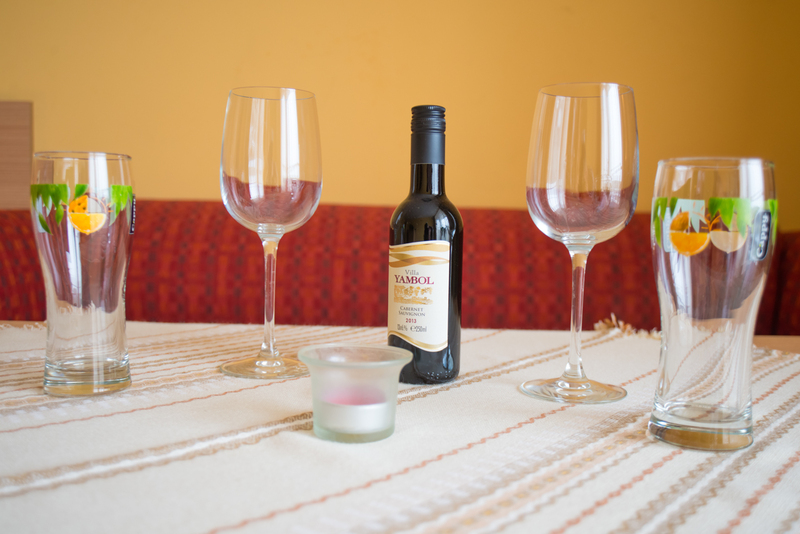 You not need to search for mineral water specifically – it already flows from the taps of your bathtub. 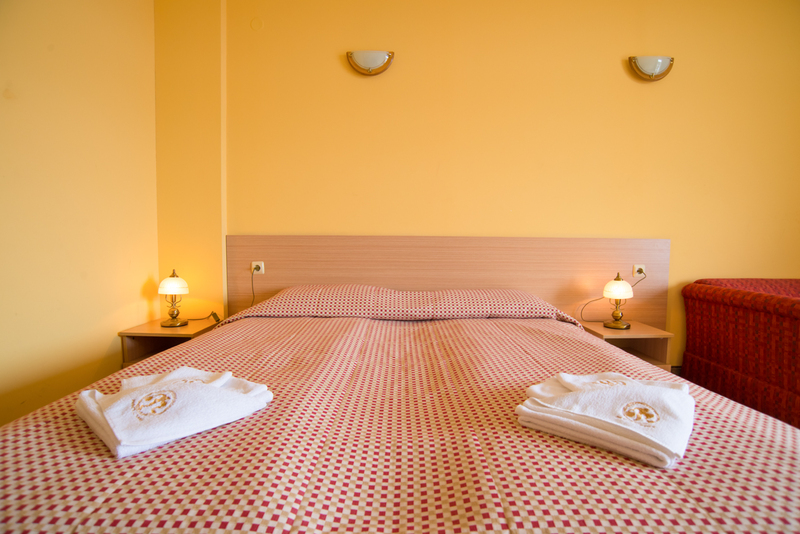 We take care of a quiet rest for those who are tired: the rooms have cable TV and telephone. 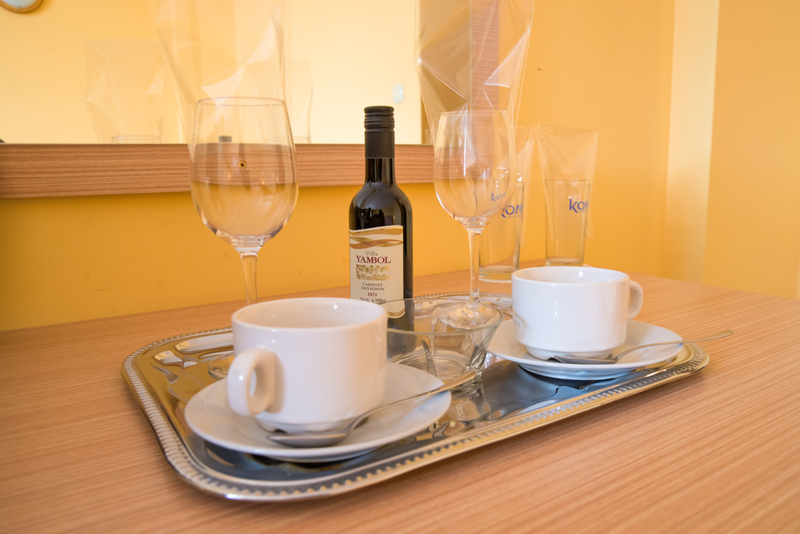 Throughout the all territory of the hotel operates fast Wi-Fi. If you caught the case, you can use the work desk. For the safety of your things the electronic safe are provided in the room, in which a laptop is placed. If you inform us in advance, we will prepare an additional bed – recliner chair or a sofa, or a bed for a child up to 5 years, in which your baby will sleep comfortably.